This review is about item#5749703. This review is about item#05749721. You can change the length to free by cutting the chain at your favorite place! It is! This review is about item#35274951. I bought it for the repair of the band saw. It also covers small parts, so it is very handy. It is normal to have a connected feeling with an ordinary chain joint. It is very small because of the 25th chain, and sometimes it is lost, but it is convenient because it is cheap and easy to buy as well. This review is about item#05749685. I did not know that there was such a small joint, it was very convenient and saved. Accuracy and quality are used without any problem with confidence. 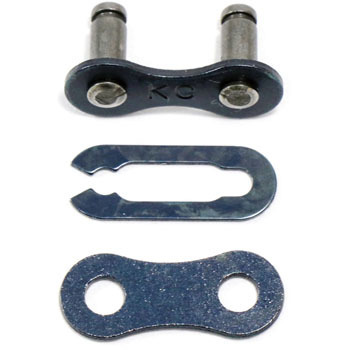 Improvement request (if possible) If you try to disassemble for chain length adjustment, you do not know the joint link position. It is convenient to have colored joint links. This review is about item#05749703.